Today I am going to Review Anna Andre Extremes Elegance Parfait Eyeliner Pencil. 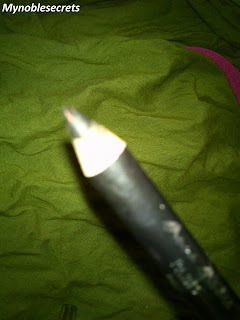 I have never used Pencil as my Eyeliner. I found Liquid eyeliners more comfortable one, and because I never tried those Pencils. 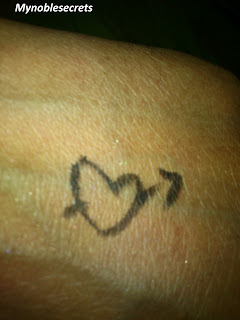 After Started Blogging I have seen so many beauties using Pencil eyeliner and they are looking Awesome. So, I have got inspired and wanted to try out the Pencil Eyeliner. So bought this Anna Andre Eyeliner pencil. Let's see about the product. 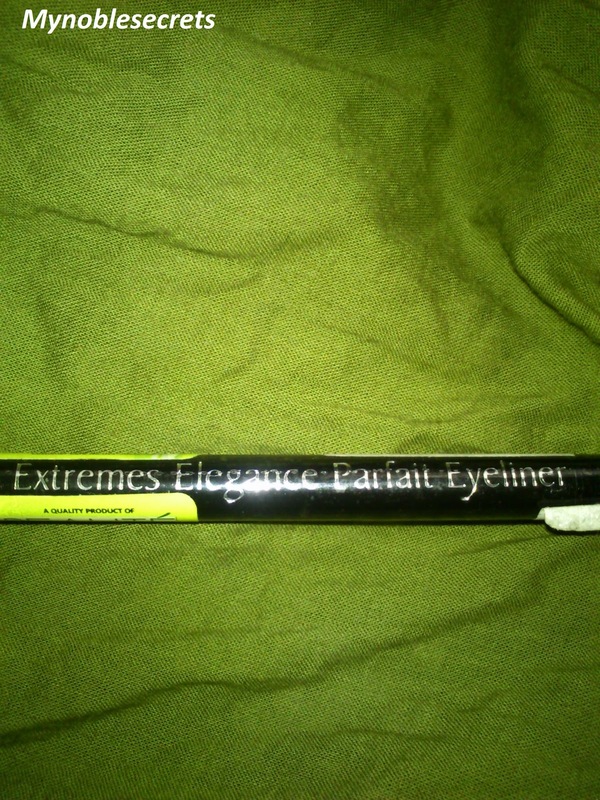 Extreme Elegance Parfait Eye Liner comes with a built in cap sharpener. The texture is smooth and it provides a rich, deep black color. Can be used to create a soft smoky effect or distinct sharp lines. Easy to use and convenient to carry the purse version. 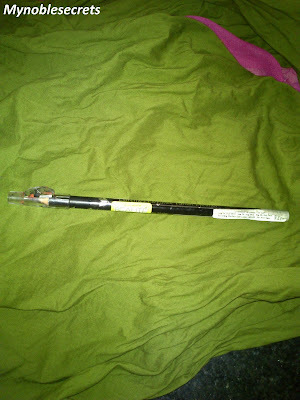 It is a very Lengthy Pencil and looks attractive. I was so excited to try this on my Eyes. It has Sharpener in it's Top lid and easily we can sharp the pencil. I have applied this on my water line first...OMG it is not at all showing. I have swiped again and again, no use. Got hurted by the sharp tip :(. Because I am new to these pencils and always I am using Kajals. They are very smooth to use. 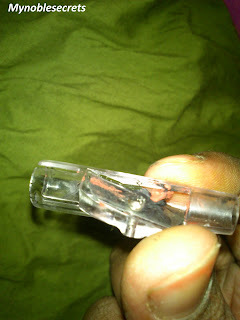 This I don't like it simply and I have tried it on my upper eye line....Wow!!! works well...The kajal pencil gives great line and looks beautiful. My money saved Thanks God!!!! 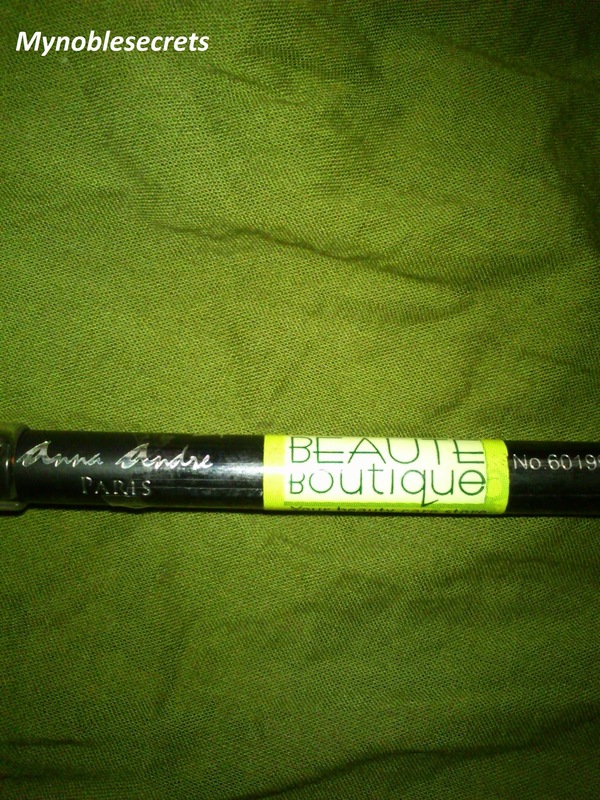 I got this pencil form big bazaar shop, they have all Anne Andre makeup products collections. Also I have tried it on my Eyebrows and gives Awesome finish Friends!!!!. The swatch on my hand is a single swipe. No irritation no allergy so it is safe on Eyes. So I have decided to use this kajal pencil for eyebrow correction and upper eye line purposes. This will work great and you can't draw eye line in the water line area by using this eye pencil. Working well as an Eyeliner. Can be used on Eyebrows too. No use when it comes for water line application. In oily lids it may smudge after some time. No details about the product. It is a eye pencil for who wants a Pencil eyeliner and who are expert in applying Eyeliner pencil should try this pencil.....Can be used as Eyebrow Pencil also, but not for water line kajal application purpose. It is best eye pencil for its price. very nice review radha...never heard abt this brand.. It sounds like a good product. I use pencil eye liner a lot. Thanks dear.I am going to order it.Lets give a try. Nice review dear.. i have seen it on urbantouch.com yesterday!! never seen dis pencil here but nice review.